Holy FABULOUS! This is definitely a staple dish to add to your collection. It’s extremely moist with a burst of flavors in every bite! Build a small fire in one half of a covered grill. Let the fuel become completely engulfed in flames, then wait a few minutes for the fire to burn down a bit. 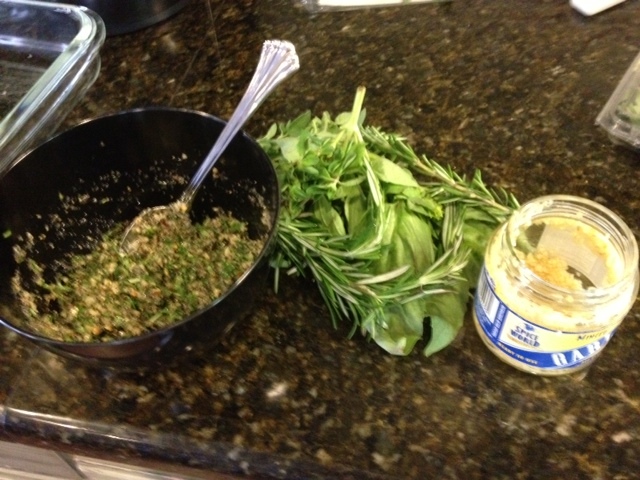 While the fire is heating up, combine the herbs, garlic, salt, pepper, and olive oil in a small bowl. 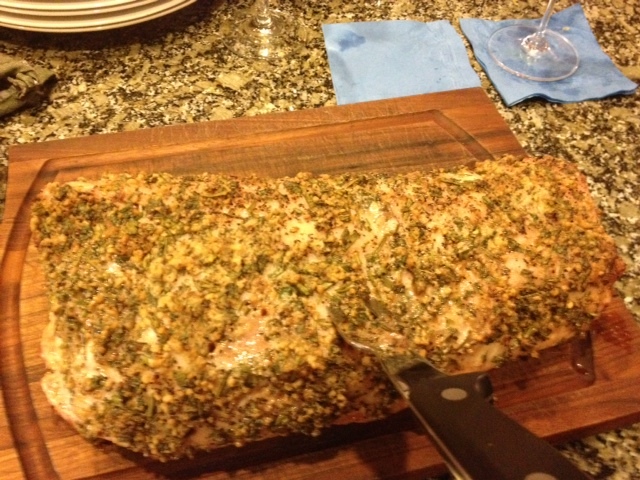 Rub the pork generously with the herb mixture. Place the tenderloin on the grill, fat side down, over the side of the grill with no fire. Cover and cook for 45 minutes. Add a handful of coals to the fire before flipping the pork over. Cover again and cook for another 45 minutes. Check for doneness by cutting into the roast and peek inside to make sure the meat is just a bit pink in the center. Remove the pork from the grill and let sit for about 10 minutes. While the pork is cooking, go ahead and make the sauce. Combine the tomatoes, onion, garlic, olive oil, and salt and pepper to taste in a medium size bowl. Spoon the mixture onto a small cookie sheet and roast in a preheated 450*F oven until the onion and tomatoes start to brown, roughly 15 to 20 minutes. Remove from the oven, and as soon as the ingredients are cool enough to handle, roughly chop them. Place the chunky mixture into a medium bowl and add in the basil and balsamic vinegar. Mix well, and set aside. Serve, enjoy, and don’t forget to pair with your favorite wine! A good side to add to the dish is our green bean and brown sugar bundles. You can find our recipe for that here!! 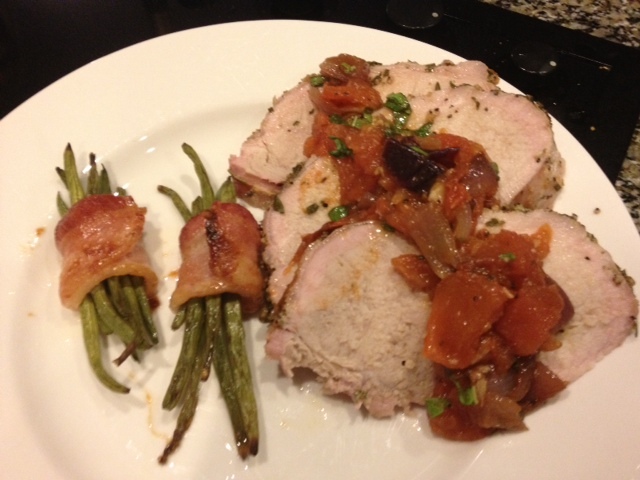 This entry was posted in Cooking, Family, Food, Uncategorized and tagged cooking, dine, dinner, family, food, fun, pork, recipes, wine. Bookmark the permalink.